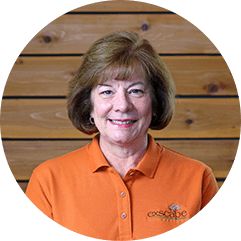 Our team is comprised of many talented, passionate and hard-working individuals who make our success possible. From our project managers to our laborers, we work together every day to deliver the best possible results for our clients. 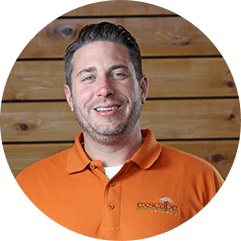 As the founder and CEO of Exscape Designs, Bill brings more than 15 years of experience to the leadership and project direction of the company. 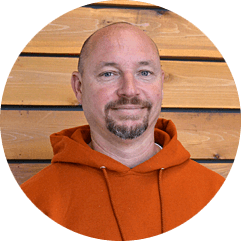 Bill uses his skills to cast the strategic vision for the organization as a whole as well as overseeing talent acquisition and business development at Exscape Designs. 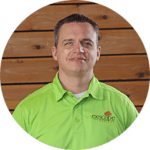 Bill has made a commitment to continuing education and leadership to development as he maintains a Landscape Industry Certification as a member of PLANET (Professional Land Care Network), is a member of the Ohio Landscape Association and The Leader’s Edge (a national peer group). 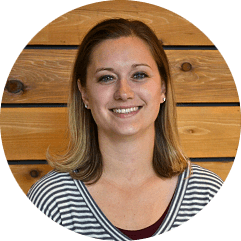 He was recently elected as a Director of the Geauga Growth Partnership and works with the Entrepreneur Task Force. Bill graduated with “the best class” of Leadership Geauga and is a past V.P. on the Board of Trustees. He truly enjoys participating at the Auburn Career Center as part of the Horticultural Advisory Committee. 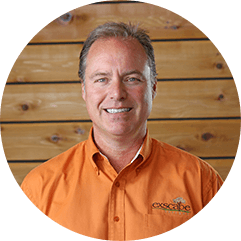 Bill uses all of his industry contacts and his extensive background to develop creative and realistic solutions for Exscape clients. His focus on forward thinking processes and continuous improvement allows customers to receive an excellent customer experience at every level. When Bill is not working on developing Exscape Designs, you’ll find him at home enjoying his wife and kids, cycling and running. Bill finished his first marathon in 2011. Please contact Bill today at Bill@ExscapeDesigns.com to schedule your complimentary on site consultation on your residential or commercial property. 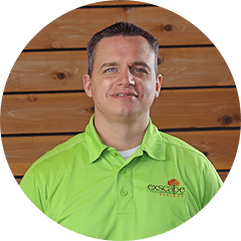 Robert brings to Exscape Designs his experience in operations and team development as well as a personal passion for landscaping and outdoor projects. 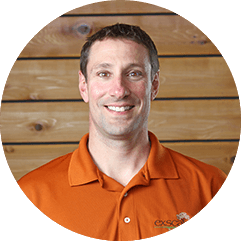 Having worked in the business ownership, management and consulting fields for more than fifteen years, Robert is sharing his experience in implementing vision to the day-to-day operations of Exscape Designs. 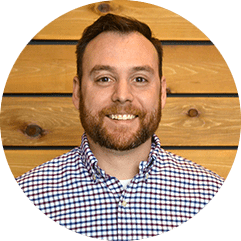 Robert will be using his background to continue to develop a culture and processes that will ensure the best customer experiences during design/build projects. 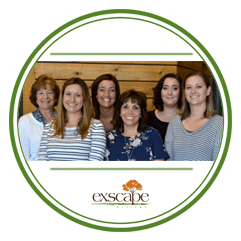 This attention to detail, ability to deploy and coach personnel as well as a thorough understanding of financials will help Exscape grow to the next level by responding to the needs of clients. 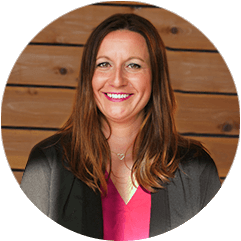 On a daily basis, Robert will be working with all aspects of the business, including everything from sales to assuring that projects are completed on time and on budget, as well as dealing with personnel issues. On the weekend, you can find Robert at home with his family, out playing softball or enjoying a few rounds of golf. 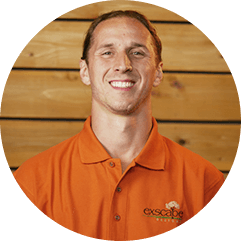 Exscape Designs welcomes Michael Beightol, Landscape Architect and Project Manager, as a member of the team. 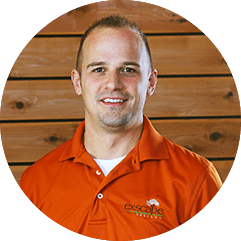 As a registered Landscape Architect with the state of Ohio and a LEED accredited professional, Michael brings more than a decade of experience with landscape and urban design in and around the Cleveland area. 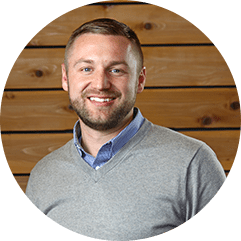 After graduating from Penn State University in 2002, Michael has worked with civil engineering, architecture and planning firms, and most recently with a construction subcontractor specializing in commercial finishes, demolition, and masonry restoration. 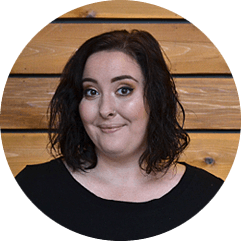 Michael says he looks forward to helping clients imagine and build the best solutions for their properties. He hopes to contribute to the high-quality products that Exscape Designs has built its strong reputation on. Outside of work, Michael enjoys spending time with his wife and their son. Besides spending time with family and friends, Michael and his family enjoy traveling and getting the opportunity to see new places and experience different cultures. For John, one casual summer job as a teenager has turned into a lifetime career passion. 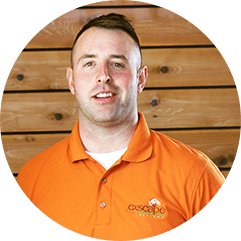 Growing up in Illinois, John took his first position working for a landscaper at the age of 15 and never looked back. 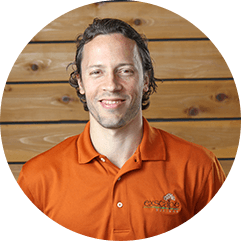 A few years later, he graduated with a Bachelor’s Degree in Landscape Horticulture from Southern Illinois University. 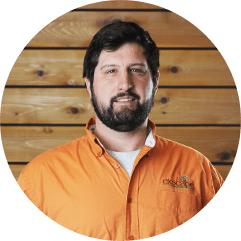 After his graduation, John worked with a prominent local landscaping contractor for more than two decades, winning more than 25 state and national landscaping awards for projects that he personally designed or managed for a variety of clients in Northeast Ohio. John is currently holds the position of Design and Sales manager with Exscape Designs, where he enjoys working with clients from the initial visioning phase of their project through completion and maintenance. 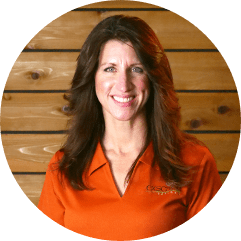 A best part of his job is taking the blank slate of a property and creating design ideas which homeowners may not have considered to create a functional and beautiful space. 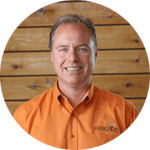 Though his project management and design skills, John works to implement one of the most important defining characteristics of Exscape Designs – the ability for the company to function as a complete outside general contractor, creating comprehensive outdoor living spaces. 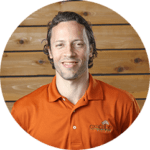 When John is not working with clients, you can find him at home with his family working on landscaping his own yard, kayaking, sailing, running or biking.